DJ Tom Somsanuk of Blue Wave 90.5 FM in Phuket says the most interesting part of his job is helping listeners relive memories through music or putting a smile on their faces with a great song. 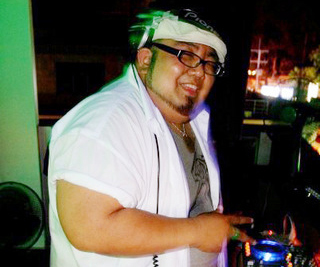 Known as DJ Tank, or “Tommy the Tank”, he was born in Washington DC but has both Thai and American citizenship. He also has a degree in the unusual combination of biology and theatre. DJ Tank grew up listening to great local radio stations in America, where he really felt part of a community of listeners. This was his inspiration to become a disc jockey. “I wanted to be able to create those same great feelings of community on the radio here in Phuket. I used to sit at the radio, trying to catch my favorite songs to make a mixed tape...way before the advent of MP3s and such,” he said. His DJ career started when he got work as a DJ at 95.5 FMX in Bangkok. He was the last DJ on air before it became Virgin Radio.Before becoming a disc jockey, he worked in various occupations but always longed to get on the radio. “I used to be a bookshop clerk and people used to tell me I had a radio voice. When I asked if they knew anyone in the business they said no. However, those people made me think, well maybe someday I’ll look into it,” DJ Tank said. DJ Tank also used to work as a nightclub bouncer as VIP security, looking after famous nightclub clients such as American singer James Brown and British singer-songwriter Boy George. “I also used to be a nightclub manager, when I specialised in babysitting the rich and famous on a rampage. It was good fun though. I also used to be a nightclub owner, specialising in paying bills and having a good time.” DJ Tank said he connects with his listeners daily through his broadcasts, but he would really like to meet up with more. “It would be more great to connect more through events and parties like in Bangkok or in the States. 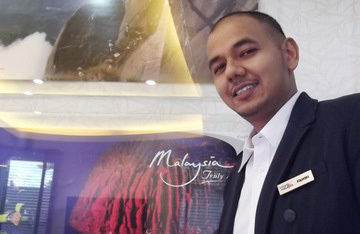 Phuket listeners are still relatively very shy so audience participation is a growing and developing concept,” he said. DJ Tank said although being a DJ is not easy, he is happy in his job. “There is a fine line between being paid to bulls**t and being paid to broadcast...those who last can do both really well,” he said. Need Native English speaking teacher with ability to speak, read and write Thai. Contact: Robin 0818037189. • Good administrative/organizational• Good communications skills–strong basic to intermediate English. Call 076-226084. Manager for Deli shop - Female, 25 years old & up, Thai, good English&computer skills. info@phuketdeli.com.